Whether your taste in crime novels is for procedural crime, classic whodunit, lone amateur detective or Hard-boiled crime, this months Crime fiction showcase has something for everyone . From Philippe Georget’s Crimes of winter to Jonathan Lethem’s The feral detective from new works from hugely popular established writers like James Patterson’s Liar Liar to perhaps lesser well known authors like Anja de Jager and her critically acclaimed A death in Rembrandt Square her latest novel featuring her Amsterdam detective Lotte Meerman. Enjoy. 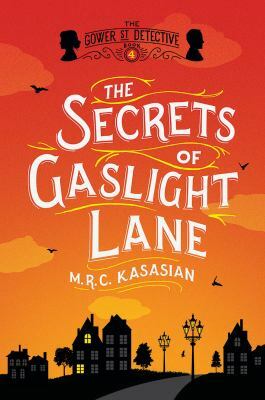 The secrets of Gaslight Lane / M.R.C. Kasasian. The feral detective / Jonathan Lethem. Bye bye baby / Fiona McIntosh. “After an overhaul of leadership at the FBI’s New York field office, A. X. L. Pendergast is abruptly forced to accept an unthinkable condition of continued employment: the famously rogue agent must now work with a partner. Points of danger / Edward Marston. Crimes of winter : variations on adultery and venial sins / Philippe Georget ; translated from the French by Steven Rendall. Lucifer Falls / Colin Falconer.